Seattle’s unionization law made headlines again last week. As a local driver, we know you might have questions about this process, so we wanted to share the facts. We have many concerns about unionization in Seattle. Some of you might remember that in 2015, we joined opposition to a law passed by City Council that allows the Teamsters to try and unionize ridesharing drivers. The courts are still reviewing the law, but last week a judge allowed the process to move forward. We believe the Teamsters aim to reduce driver flexibility and fundamentally change the way ridesharing works. Consider this: if the Teamsters win, the City’s rules require the Teamsters and Lyft to negotiate drivers’ “minimum hours of work." We also believe that every driver should be able to vote on joining a union. One driver, one vote. 70 percent of current drivers will be banned from voting since city rules require you to have given 52 rides in any 3-month period between January 2016 and January 2017 to participate. 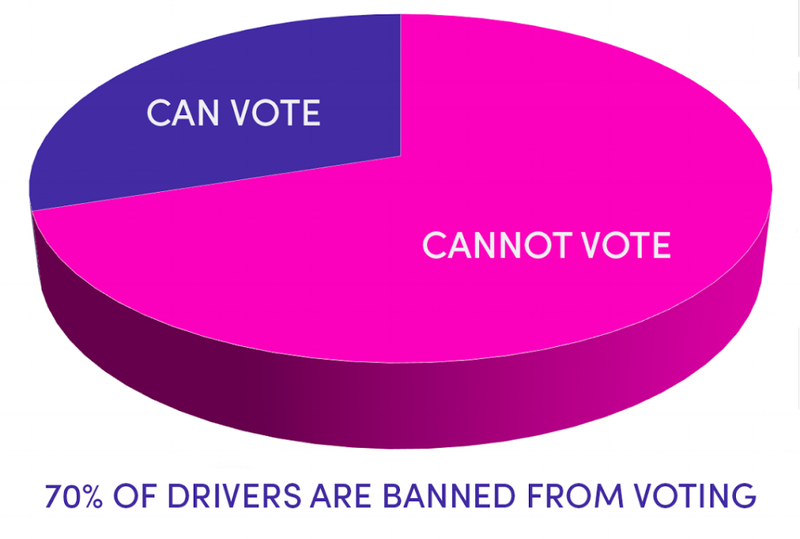 Every driver who’s been approved after January is being blocked from voting. According to the City of Seattle, only the Teamsters have the ability to allow more drivers to vote but they refuse. We’ll soon be required by law to give the Teamsters a list of drivers who meet these qualifications. This list must include all of your personal contact information so the Teamsters can call, email, or show up on your doorstep to solicit your vote at any time throughout the next four months. The Teamsters are not legally required to provide you with accurate information and are allowed to make promises they cannot keep. Any document you physically or electronically sign could be considered a vote for unionization. If a majority of those allowed to vote choose to be represented by the Teamsters, all drivers will be covered by union contracts, requirements, and agreements — regardless of whether you were allowed to vote or not. We’re eager to hear your thoughts about this process and plan to engage local drivers in an ongoing conversation about these important issues. We’ll be in touch with more information soon, but feel free to send any questions or comments to seattle-info@lyft.com.